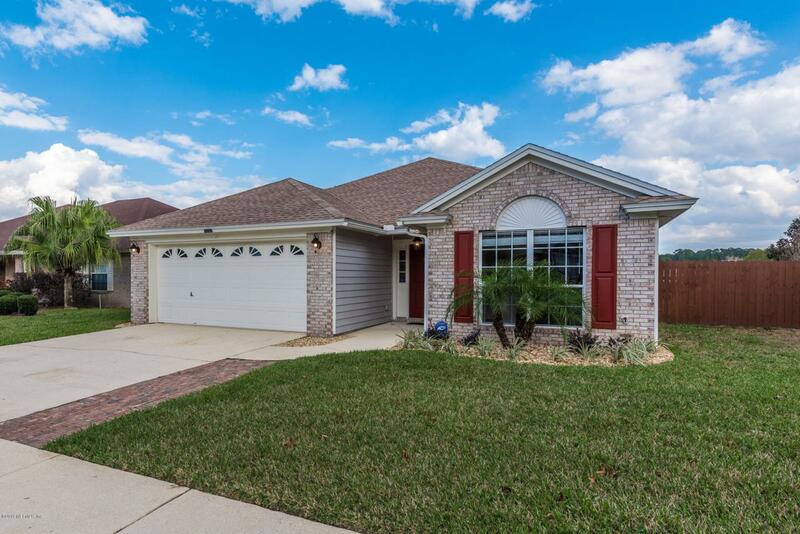 This beautiful home is nestled between 3 golf clubs, convenient to UNF, St Johns Town Center, I295, & only 1 mile to Publix. 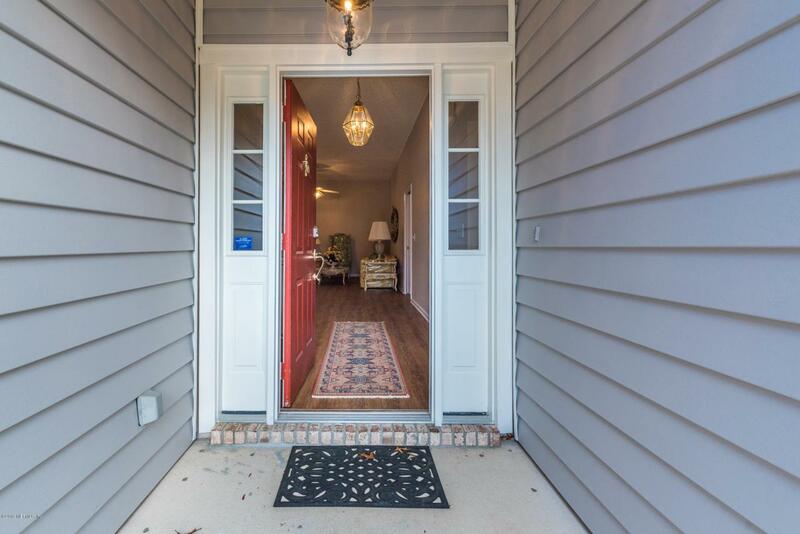 Recent updates include Roof 2017, A/C 2016, Luxury vinyl plank flooring 2019, interior paint 2019, cordless blinds 2019, dishwasher 2019, Solid core vinyl siding, designer master closet system, updated baths including handicap accessible master bath which is blended beautifully into the fixtures. 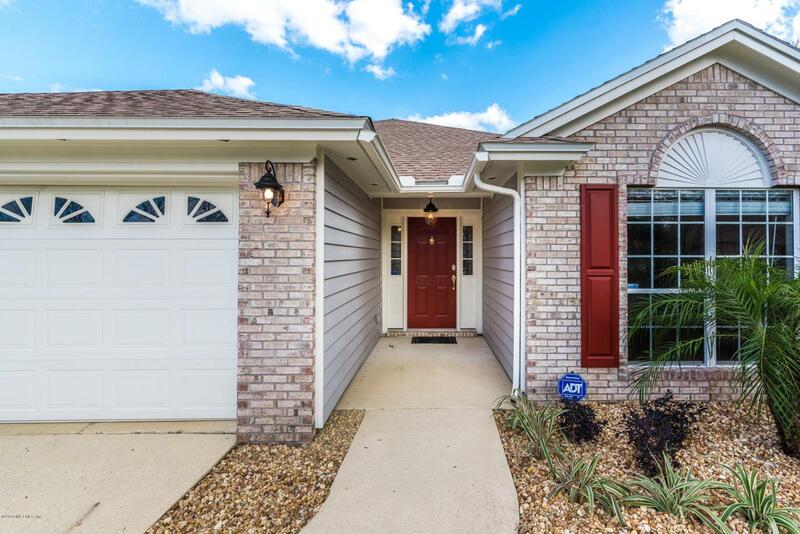 The home includes front load washer/dryer inside home, security system, stainless kitchen appliances, mud sink in garage, irrigation system, and vaulted ceilings in living areas. 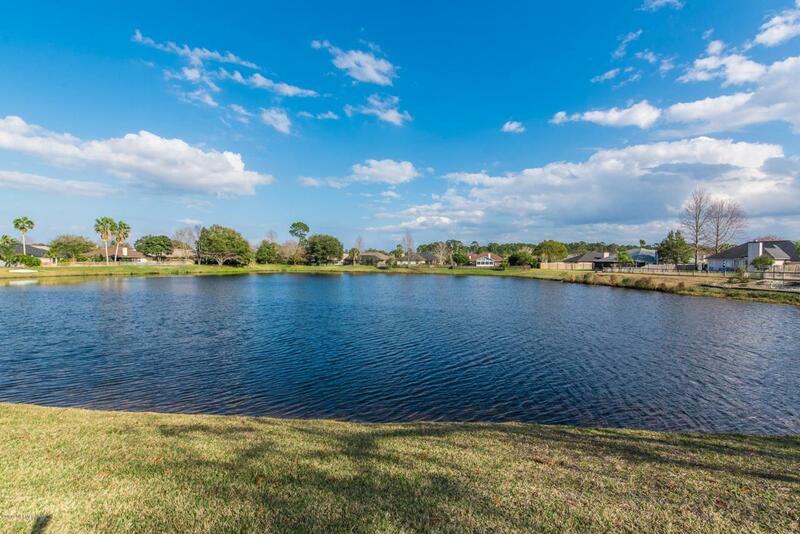 The large patio with fenced yard provides relaxing pond views while enjoying barbecue in your backyard oasis. Low maintenance exterior with vinyl siding & brick front. Termite bond in place.